Wires are a nuisance. They get tangled up at inopportune moments, and look ugly. That’s why truly wireless earphones are fast growing in popularity. We’ve checked out the best of the bunch. Regular Bluetooth earphones are useful, but they often have a wire connecting the earbuds which isn’t always convenient. It’s still easy for that cable to get a little tangled, or simply look ugly wrapped round your neck. That’s why truly wireless earphones feel more liberating. Now, you’re probably thinking “why don’t I just buy some AirPods?” Whether you like it or not, Apple changed the headphone world when they removed the headphone jack from the iPhone. Their AirPods were a great solution to the headphone problem, but they’re not the best earphones out there. No pair of truly wireless earphones are particularly cheap which is why we’re skipping the budget category, but there are plenty that are great for a variety of different situations. Here are the best truly wireless earphones out there. Jabra is consistently great at producing quality audio products, and that’s certainly the case for the Jabra Elite 65t. The sound quality is predictably high with a background noise filter working as a form of light passive noise cancellation. It’s also possible to use the Jabra Sound+ app to customize the sound you hear via its equalizer function. The earbuds are IP55 rated against water, sweat, and dust, so they can withstand most of what you throw at them. A battery life of about 5 hours with an additional 10 hours available via its charging case means you’re good to go throughout the day too. On top of that, it supports Alexa, Siri, and Google Assistant voice commands. With so many bases covered, it’s a solid buy. You’ll most appreciate being entirely wire free when running or working out. Jabra’s Elite Sport True brings all the high sound quality you’d expect from Jabra, along with some neat fitness related features. The Elite Sport True offers 4.5 hours of music time, and an extra 9 hours via the charging case. 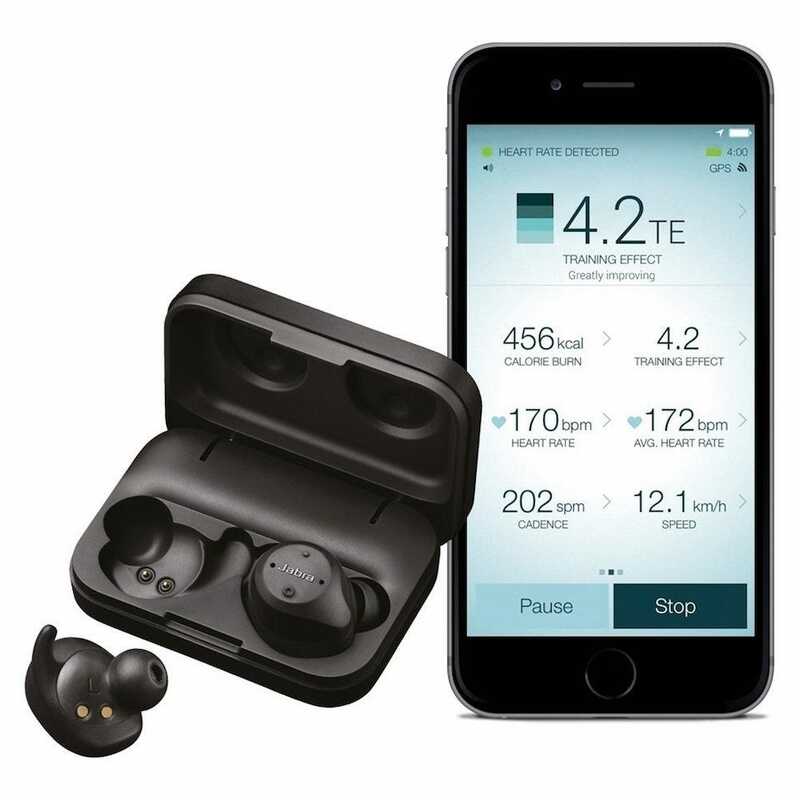 It also has an in-ear precision heart rate monitor which tracks your heart rate then uses that information to analyze your fitness performance. Audio coaching reacts to how you’re performing at any given moment, and recovery advice gives you tips on how to cool down when you’re done. There’s also a race pace calculator that helps you measure your pace per mile while you’re running. 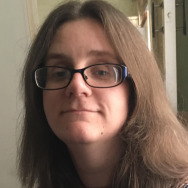 It’s kind of like having your own personal trainer in your ear, and it’s massively helpful if you’re prone to pushing yourself too far. When you’re not working out, these are still great quality earbuds. 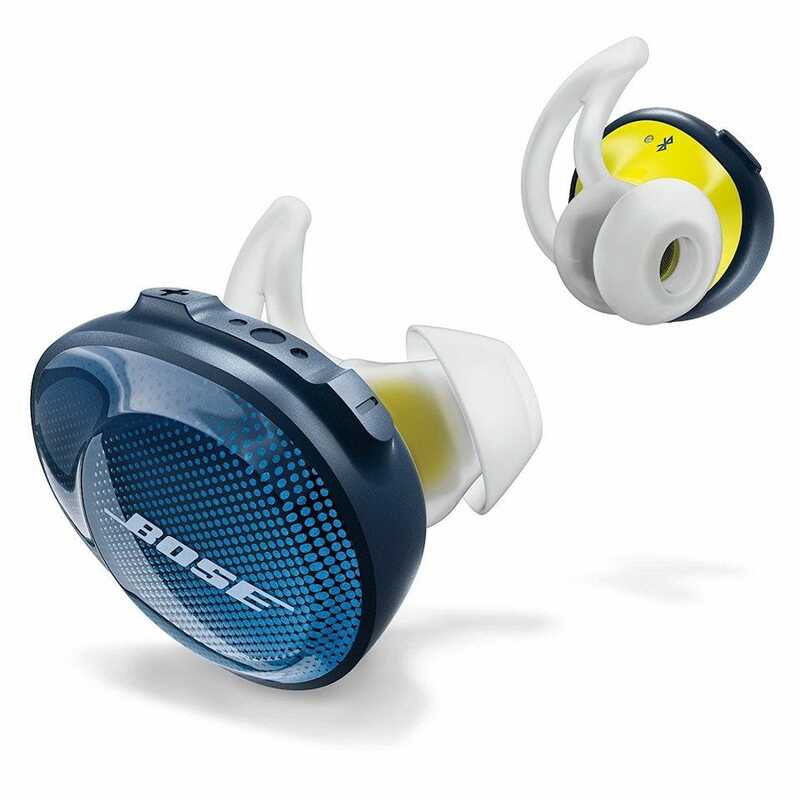 If your budget can stretch a little further than the $170 asking price for the Jabra Elite 65t, purchase the Bose Sound Sport Free. The sound quality on these earbuds is exceptional, as one would expect from Bose, but it also comes with a few other useful features. Battery life is on a par with Jabra’s effort, at about 5 hours with an additional 10 hours courtesy of the charging case. It’s sweat resistant for your workout sessions, offers easy NFC pairing rather than the more convoluted Bluetooth method, and the buds are snug yet comfy in your ears, thanks to three different sizes of ear tips. Where the Bose earbuds stand out most of all is through the ‘Find my Buds’ feature on the Bose Connect app. Lost your earbuds? Press a button in the app and your buds will make a noise to help you find them. It’s the little things that make these a worthwhile purchase. Now, admittedly, if noise cancelling is your top priority, you really need to buy some headphones or wired earphones rather than earbuds. 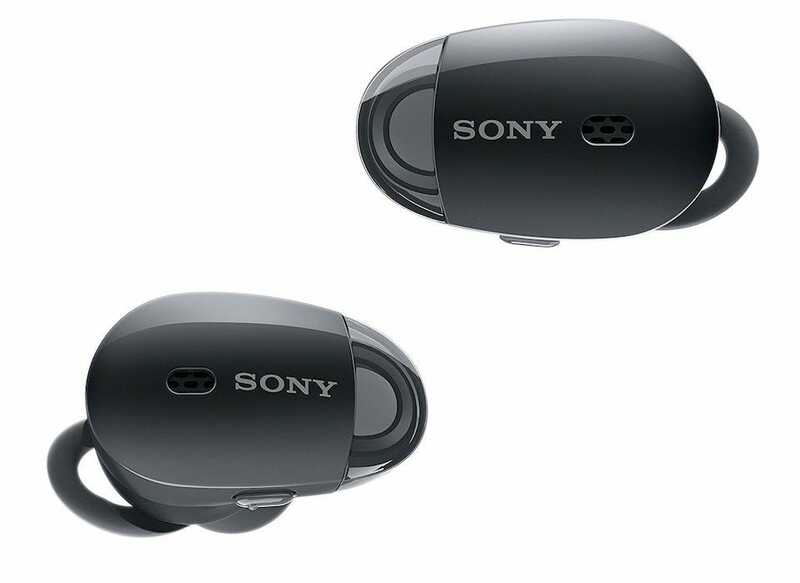 We already checked out both headphones and earphones, but if want a truly wireless pair with noise cancellation then the Sony WF-1000X are the best out there. 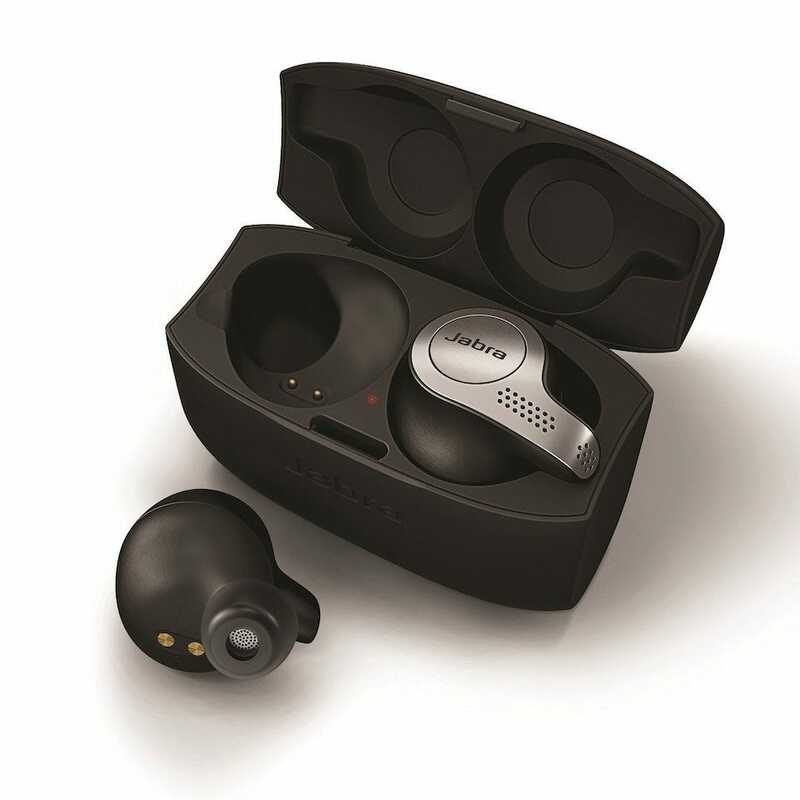 The earphones use smart adaptive technology that automatically switches to ambient sound when you need them to. That means you get to hear your favorite music without feeling like you’re missing out on anything. The sound is crisp too, thanks to a 6mm driver, and there’s up to 3 hours of battery life, which you can extend to 9 hours with the charging case. The battery life is shorter than other headphones on this list, but that’s a natural consequence of using noise cancellation. They’re not sweat proof so we wouldn’t recommend them for your workout session but if you want a cool pair of earbuds for your commute, the noise cancelling feature is a great bonus. Though, again, wired headphones will give you better noise cancellation. 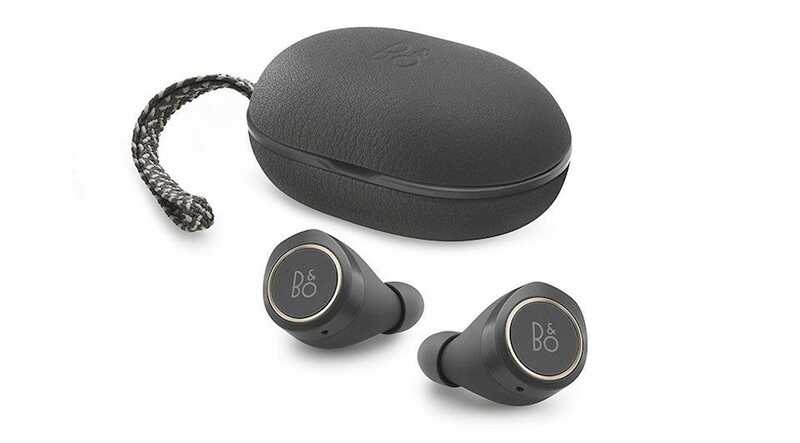 If you have the cash to spare, the B&O Beoplay E8 Wireless Earphones are the most luxurious. They’re small, stylish, and fit incredibly well. The sides feature simple touch controls you can tap on to take calls, switch tracks, or activate voice commands. 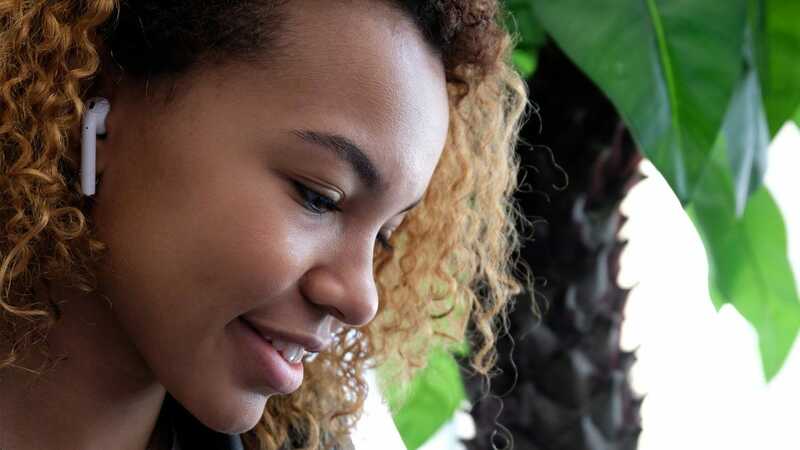 The earphones use Near Field Magnetic Induction technology to provide less sound degradation and better connectivity via Bluetooth. The only downside to the superior playback quality is that battery life is a little low at about 4 hours per charge, but the stylish leather charging case boosts that to 12 hours. Other than that, these are attractive, comfy, and provide great sound quality. What more could you want?